Hey there! 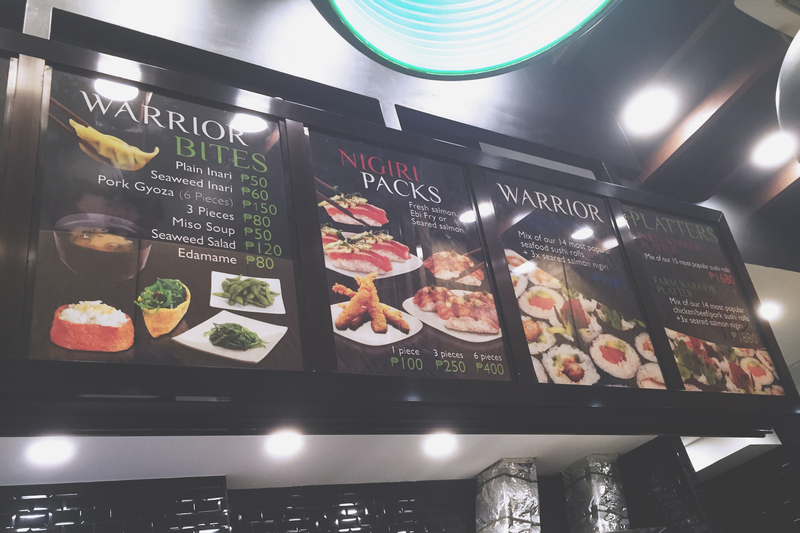 This time’s food post is Wasabi Warriors.. A restaurant that specializes in SUSHI? Oh my, I just can’t. This actually happened on the same day where Patrick & I had Frankie’s at SM Aura (You can read the post here). We walked to Fully Booked to buy some promarkers for me. 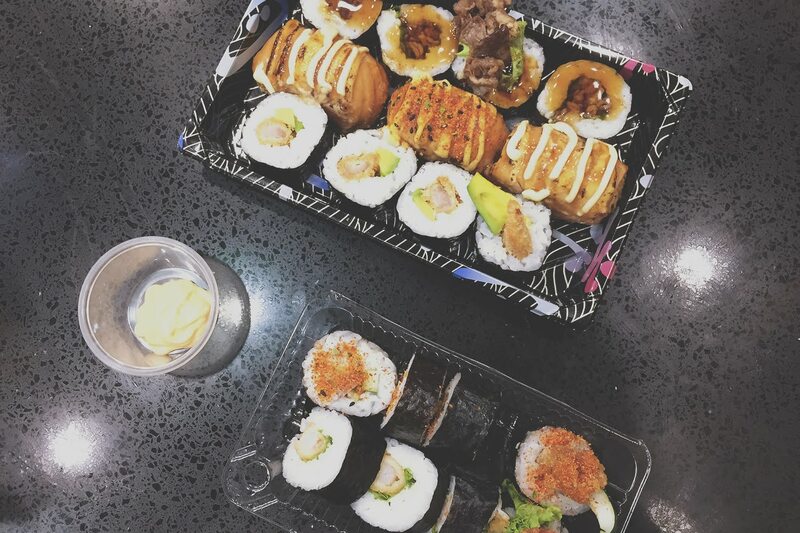 As we were headed back to SM Aura we spotted a sushi filled restaurant. We had a 1-2 minute moment of deciding whether we’d go Wasabi Warriors for dinner or not but obviously we ended up trying it out. We made the perfect decision! 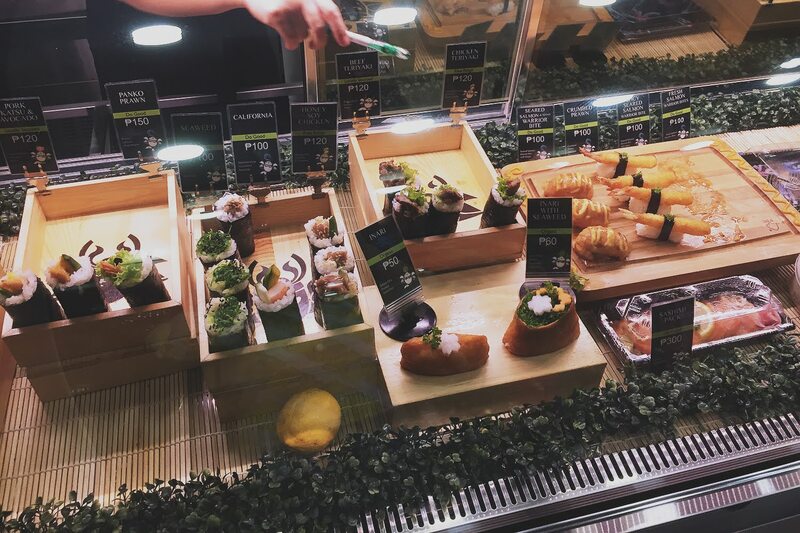 One of the hardest part when trying out new food... What to choose? 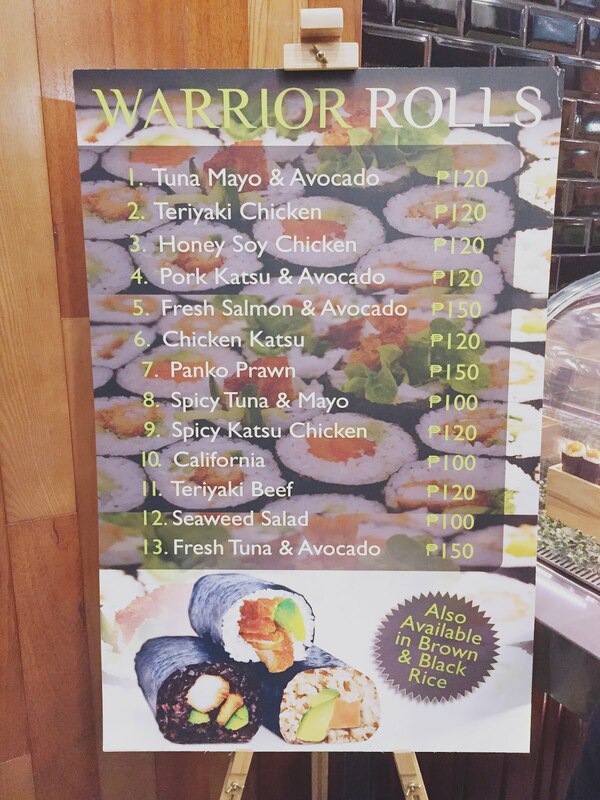 Anyway, we ordered the Ocean Warrior Pack, not sure if it’s Pack A or Pack B and an additional Warrior Roll... Patrick was in charge of ordering while I take photos (I left him to it). He insisted on making me order too, so I suggested we got one of their Warrior Rolls, Teriyaki Beef. Our sushi plates.. We got Ocean Warrior Pack B. They look so yummy right? They taste goood too! 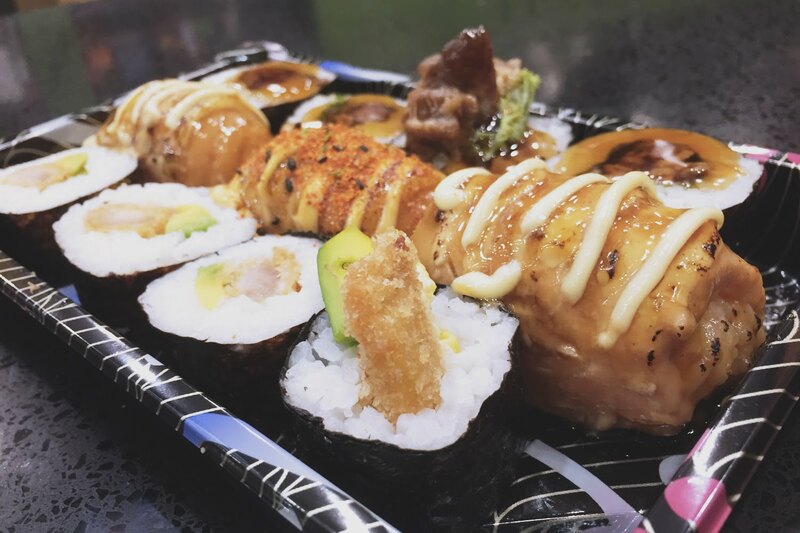 Their sushi feels so good to the palate with every bite. 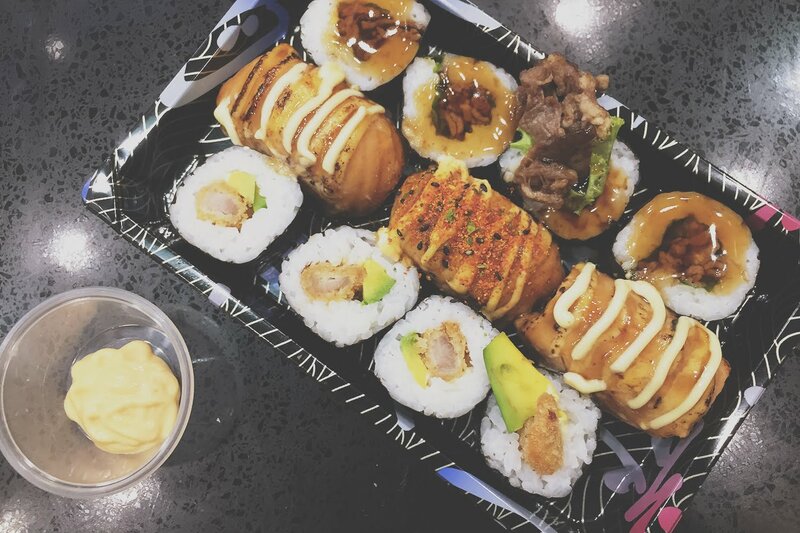 One of the best sushi’s I’ve tried. My personal favorite is the Seared Salmon Nigiri. By the way, just to share with everyone... 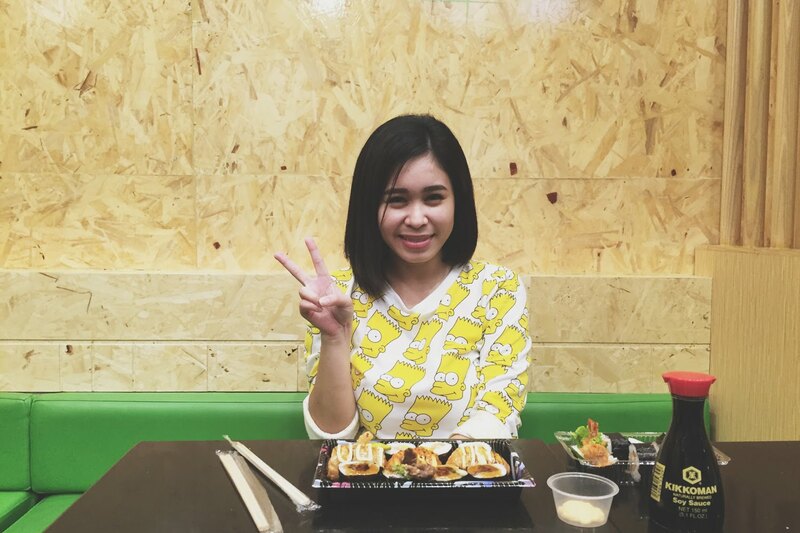 I didn’t want to get the sushi with avocado coz’ I found it kind of weird at first.. Patrick told me that he saw people saying good stuff on sushi that have avocados in it, that’s why he wanted me to try it out. Thanks Hon! I must say it did well with sushi, like like like. Our stomachs satisfied! 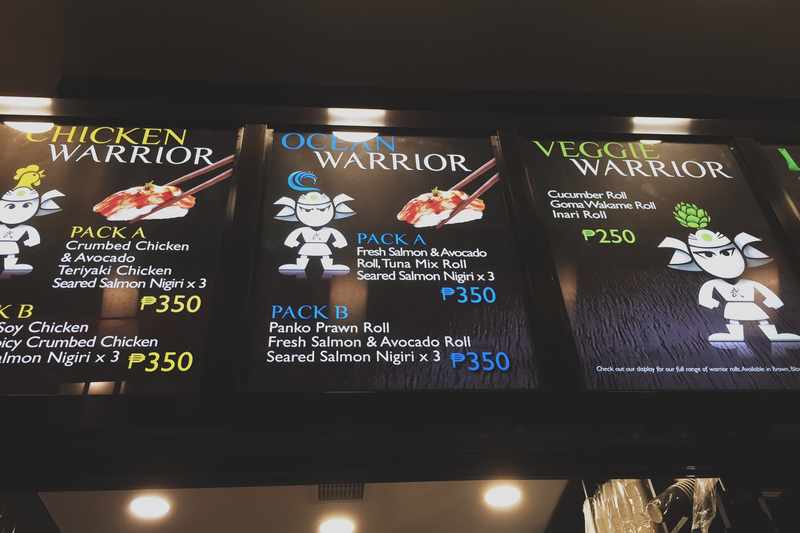 We’ve noticed people who would come by Wasabi Warriors would usually have their food for take-out. Their were actually quite a lot. More food choices... We weren’t able to see this part while ordering coz’ it isn’t that visible from the front part of the store. 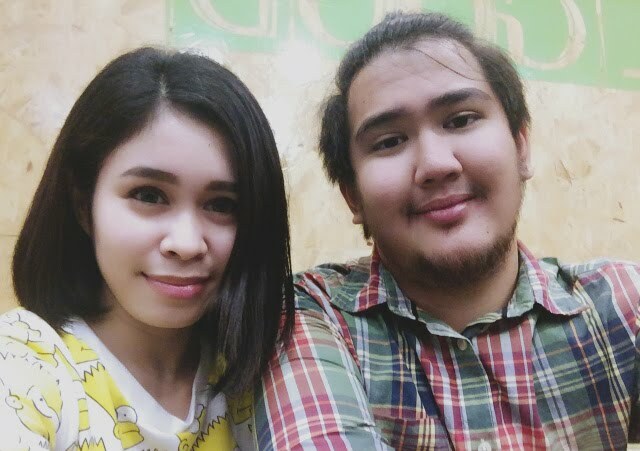 We were able to check it out when we got seated which was after ordering. More to try when we come back! (I’m definitely coming back when I get the chance. 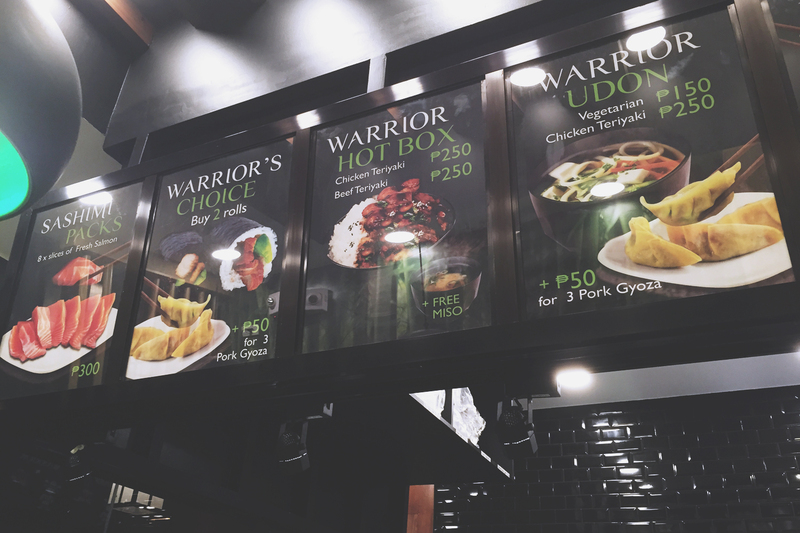 The Wasabi Warriors Serendra branch had it’s soft opening during the early week of August and had their Grand Opening last October 9. 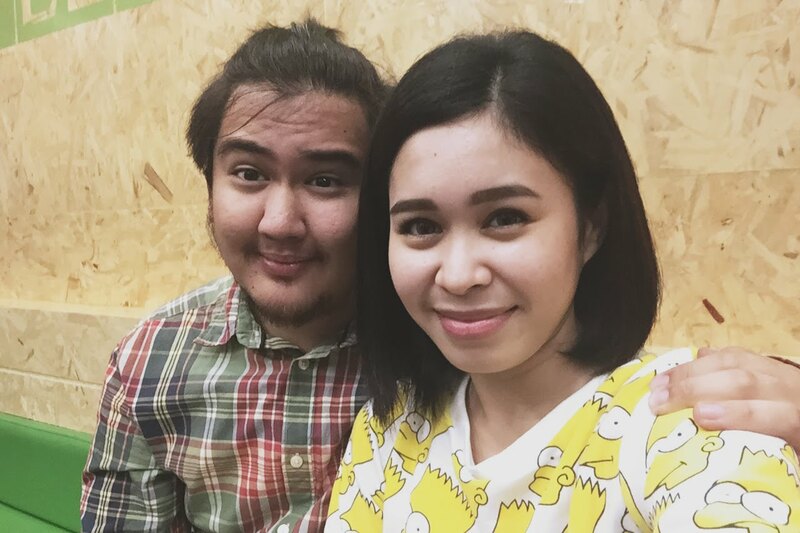 We actually tried the place a few days before their grand opening, October 1st... Wahaha. Sorry if the post is delayed for weeks.